Looking to stay busy over Spring Break? Come enjoy a screening of “Zootopia” at the library on April 25 at 1:30pm. 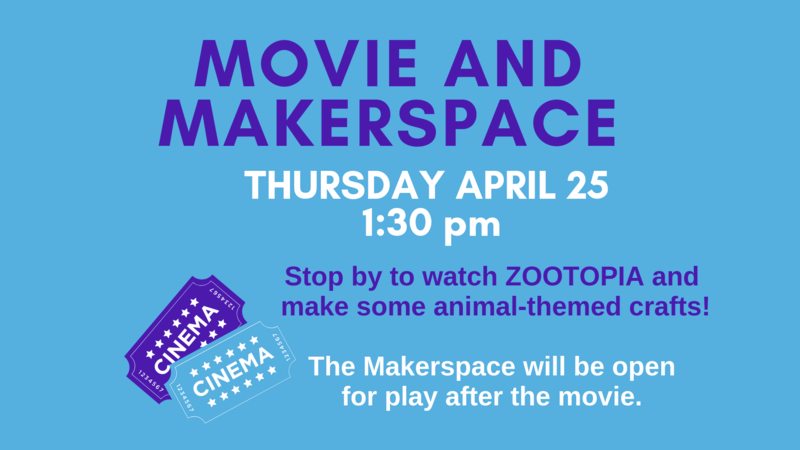 The Makerspace will be open after the movie for free play, and we’ll have fun animal-themed crafts to create. Questions? Call the Children’s Desk at (716) 484-7135 ext. 234.